For wood adhesives in wood composites, the internal bond strength test can be done with a 3300 or 5500 testing machine to determine the tensile strength. Following BS EN 319, understand how particleboards and fiberboards under stress by calculating the opposition to tension perpendicular to the test piece. 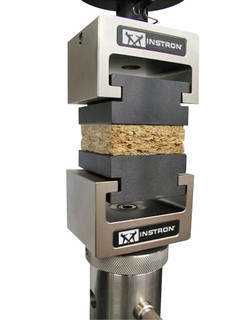 Instron testing machines can follow ASTM D143 and find the strength parallel or perpendicular to the grain, internal bond strength, and cleavage strength for wood.